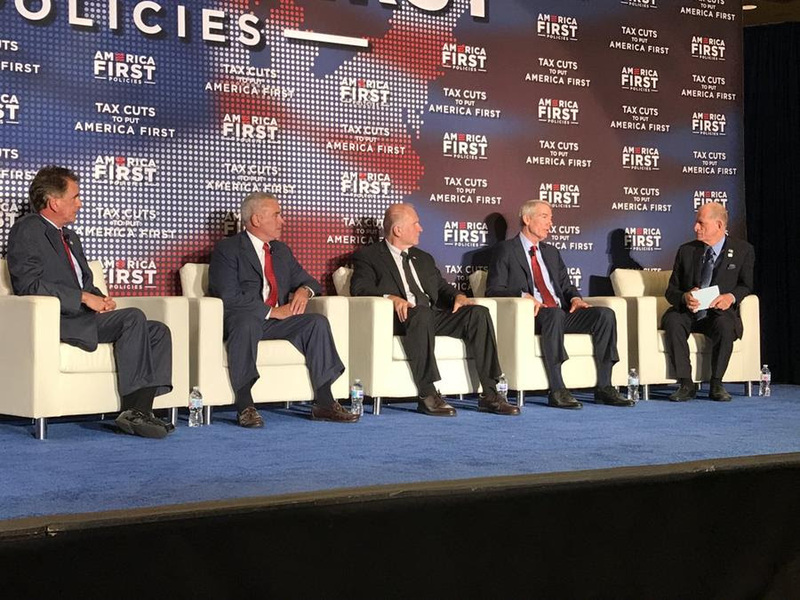 America First Policies made its 23rd stop on its “Tax Cuts to Put America First” tour yesterday, August 14, at The Westin Cincinnati in Cincinnati, Ohio. The event featured a panel with U.S. Representatives Steve Chabot, Jim Renacci, and Brad Wenstrup, and U.S. Senator Rob Portman. The panel discussed how the tax legislation is affecting Ohio residents, families, and businesses, and the nation as a whole. After the panel, Senator Rob Portman addressed the audience, followed by Congressman Steve Chabot who introduced the Vice President to a crowd of 500 people. “Thanks to our tax cuts, more than 6 million Americans have already received bonuses, pay raises and bigger benefits. And this is just the beginning, because thanks to our tax cuts, in the years ahead, the average wages of working families in this region will rise by nearly $4,000 a year,” said the Vice President.